I Bought an Extra Present, so…GIVEAWAY! Well, apparently I had a brain blip while I was preparing my holiday shopping list. NO book is really a wrong book, and absolutely no book by Kate Milford is in ANY way a wrong book. But I didn’t buy the book I MEANT to buy for a certain someone on my list. And that’s all I’m going to say about that here, because, shh…sekrits! 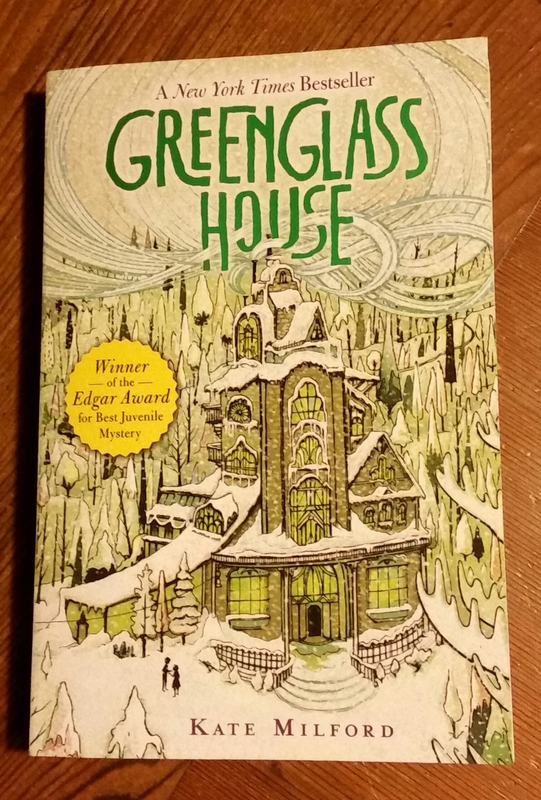 Anyway, the extra book I now have in my possession is Kate Milford’s GREENGLASS HOUSE, which is made of awesome. So much awesome that even though I already have a copy in e-book form, I was tempted to keep the lovely print version for myself. But that is 1) silly and 2) not in the holiday spirit. What IS in the holiday spirit is to pass it along and either introduce someone new to the awesome or fill in a painful gap for someone who has all the rest of Kate’s books, but not this one. Or…oh, any of the many other possible reasons. Leave a comment and tell me one book YOU are giving as a holiday gift. Or if you’re worried about someone seeing the comment, just write “sekrit” with your preferred spelling. You’ve got all week, and I’ll draw the winner the weekend of the 17th. oh I’ve had this on my list to get (for myself!) for a while – I just love the LOOK of it, it looks a bit a bit Lord Peter Wimsey paperback (that font!) I’m going to get Atlas Obscura for my brother in law because he likes weird as much as I do! I can SORT of see the Wimsey look. I have to say, one of the things I love about Milford’s books is that they don’t remind me of ANY other books I’ve read. In a fantastic, where did THIS come from way. You are entered in the contest, and I’m going to look up Atlas Obscura. Don’t enter me since I already have a copy in my waiting TBR box. But nice of you to give this away! Okay, the boy is home from college, and he pulled a name. ANVILLASANTE, you’re the winner!